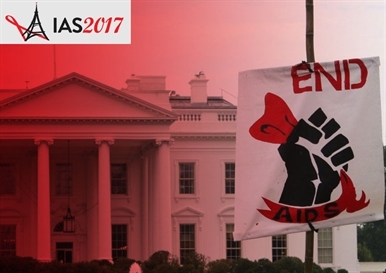 A withdrawal of United States funding for HIV treatment and prevention in sub-Saharan Africa could lead to 20 million additional HIV infections and 2 million additional AIDS deaths between now and 2032, according to modelling of the impact of US funding carried out by Imperial College, London, and presented last week at the 9th International AIDS Society Conference on HIV Science (IAS 2017) in Paris. As the largest global donor to the Global Fund to Fight AIDS, Tuberculosis and Malaria, and as the largest bilateral funder through its President’s Emergency Plan for AIDS Relief (PEPFAR), the funding provided by the United States government underpins the global AIDS response. In 2017, the United States government requested $6.75 billion to support PEPFAR and the Global Fund. The US has pledged up to $4.3 billion to the Global Fund to Fight AIDS, Tuberculosis and Malaria in the period 2017-2019, subject to adequate pledges from other donors (the United States can provide no more than a third of its funding). To date, the United States has given $70 billion through bilateral and multilateral programmes to fight HIV. But, in budget proposals put forward earlier this year, the new Trump administration proposed to cut the US foreign aid budget by one-third, and PEPFAR funding from over $6 billion to $5 billion in the 2018 budget. Some US politicians have gone further, arguing that the US should stop funding global programmes altogether, but there is strong cross-party support in the US Congress for preserving some elements of US global aid, especially the PEPFAR programme. The US Congress is due to vote on the 2018 budget proposals in September. To investigate the potential impact of budget changes, and to show how US funding has affected the trajectory of the HIV epidemic in 18 countries in sub-Saharan Africa accounting for 80% of the HIV burden, researchers from Imperial College, London, developed a model of the relationship between programme funding of treatment and prevention, and new HIV infections and deaths. Starting in 2000, the model showed that the absence of US funding – and the absence of the Global Fund, which the researchers assumed would not have come into being without US support – would have led to approximately 4 million more HIV infections by 2016 and 5 million additional AIDS deaths. The model assumed that the price of treatment would not have fallen substantially from 2000 levels, prior to the emergence of generic antiretroviral drugs, and that the affordability of treatment in low-income settings was a consequence of donor funding. In a worst-case scenario, where US funding is withdrawn from the Global Fund and PEPFAR programmes, up to 20 million additional HIV infections and around 2 million additional AIDS deaths could occur by 2032. The modelling also showed that maintaining funding only at existing levels will lead to a flatlining of the proportion of people living with HIV who are on treatment and virally suppressed. On the other hand, if expansion of US funding is accompanied by increases in domestic funding and more efficient allocation of funding within each country, there could be rapid progress towards the 90-90-90 target by 2022. Without the expansion of the PEPFAR programme, HIV infections will begin to rise again after 2018, increasing from around 1.2 million a year to 2 million a year by 2032. If US and domestic funding increased and efficiency was to improve, the number of deaths could fall sharply within several years, to less than 200,000 a year by 2019. In both cases, the model shows that increased US funding alone will have only a modest impact on new infections and deaths. Only if it is combined with an increase in domestic resources and better allocation, will African countries move towards dramatic reductions in new infections and deaths by 2030. McGillen J et al. How changes in United States funding policies could impact the HIV epidemic in sub-Saharan Africa. 9th International AIDS Society Conference on HIV Science, Paris, abstract WEAD0202, July 2017.